I want to make sure my students have a good time learning guitar but I also want to make sure they learn a lot..! I always make sure to ask my students what they want to learn and what their favorite music is... after that, I figure out what type of lessons to plan out. Emerson delivers an exceptional lesson experience and ranks in the top 15% of our teachers nationwide. 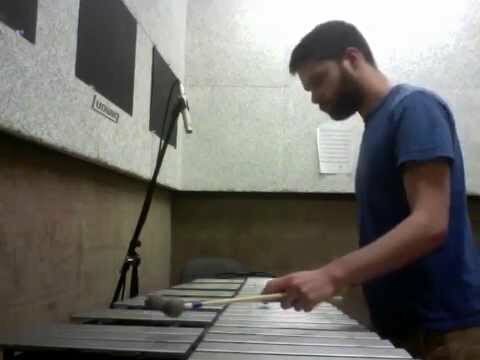 This is my own arrangement of "Darn That Dream" - I added a short coda to the end. Playing cymbals with the CSUN Symphony Orchestra at Valley Performing Arts Center in Oct. 2014. We were performing Bizet's opera Carmen...! Playing triangle for Mehran Tebyani's orchestra at CSUN in November, 2014. Holding my Bachelor of Music Degree after graduation! Me. Emerson is the best instructor I've ever met! He really tries to keep the lessons fun and light. Plus he can always motivate his students to really learn and understand their instrument. Emerson is an amazing instructor. Besides being a very knowledgeable and gifted musician, he’s patient, kind, and makes learning the drums fun. What I appreciate most about Emerson is that he’s interested in helping me reach my goals. 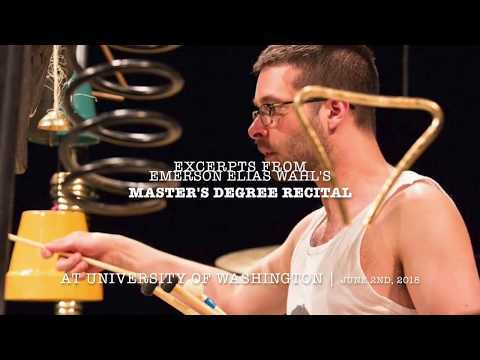 I happen to be interested in learning Latin style drums and lucky for me, Latin is one (of many) of Emerson’s specialties. So many people have told me that Latin is hard to learn, but in four short lessons, I already know how to play a basic Bossa Nova beat. Emerson is a very organized and efficient instructor. We work with handouts, video (I record him as he instructs) and reading exercises from a book. A highlight for me in our sessions is when Emerson accompanies my drum playing with another instrument, the piano for example. I really get the feeling like we’re having a little jam session and it's fun because I can hear that I'm making music and that's an awesome feeling. Choose Emerson as your music instructor and you will not be disappointed. Emerson is a great instructor who has been helping me prepare for an upcoming performance (for my bar-mitzvah (like in front of 100 of my closest peers (so like yeah that's a lot of stress))). He is a great instructor and I look forward to continue studying with him. Emerson is an EXCELLENT teacher! He is patient and kind. He is super organized and efficient. He's able to give wonderful easy to follow instructions. I hope he is my son's music instructor for YEARS to come! Emerson is great at teach in teaching. He will go at any pace you tell him to go at. I would recommend him for all ages.